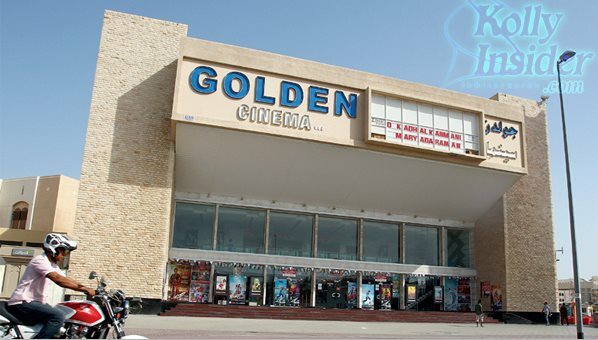 Nestled at the heart of Bur Dubai, Golden Cinema, formerly known as Plaza Cinema, will be shut down from Sunday. It’s curtain down for one of the oldest independent cinema houses in Dubai. Nestled at the heart of Bur Dubai, Golden Cinema, formerly known as Plaza Cinema, will be shut down from Sunday, leaving golden memories for lovers of Indian films, especially from those from the south. Indian movie legend Kamal Haasan is jetting into Dubai for the world premiere of his Tamil magnum opus Uttama Villain there tonight. The screening of the movie will be a milestone not just in the history of the Indian film industry. It will be a turning point in the history of the UAE’s cinema houses also. It will be the last film to run at the standalone cinema house that enthralled moviegoers of various nationalities for four decades. A landmark building surrounded by Al Ghubaiba metro station, bus station, abra station and taxi stand, the cinema hall has been a crowd puller, giving easy access to people of different walks of life to enjoy their leisure time, A. Hassan, the general manager told Khaleej Times. The theatre boasted of the largest seating capacity of 1,500 in the region. “It is also the only theatre in the Middle East with a balcony,” said Hassan. Opened in 1972, it has screened thousands of movies — old Hindi films, Bollywood chartbusters, and later on majority of the Malayalam and Tamil blockbusters. Of late, the cinema has hosted premieres of big names in Malayalm and Tamil industries like Mohanlal, Vikram, Dulquer Salmaan and many others. “Thousands of people used to swarm the theatre when we hosted the big stars with traditional chendamelam. It used to give us the feel of our festivals back home,” said Kuttu Sivanandan of Daiwik Films that organises the premiere shows. Hassan said the theatre had also screened free shows for labourers.